I would like to wish all of you a happy and blessed Christmas. I have to be honest: I am sometimes overwhelmed by the hustle and bustle of December. There are so many parties and presents that need to be bought... it seems there is never enought time in the day. When Christmas is over, I take a deep breath and prepare to hunker down for the rest of the winter. With all that being said, there are several things I enjoy. I get to see my family more often. People seem to be in a better mood. Finally, it is a time when more people focus in on Jesus and what He has meant to their lives. There is one other "occasion" during the Christmas season that most of you may not be familiar with - it is the time of year when CatholiCTV gets the most donations. I am asking you to consider a gift to CatholicTV this Christmas. I have set a personal goal of 4,000 donations for the month. Most of the people at CatholicTV think that this will be a difficult goal to achieve, but I trust in you! For years, you have supported the station and allowed us to bring Masses, The Rosary, and all our fine programs into the homes of so many people. By donating online, you will help CatholicTV continue to change lives. What a gift you would be giving to those who need to hear the loving message of Jesus and know that they are not alone in this difficult world. I know 4,000 in a large number, but it all starts with one - and that could be you. Thank you for anything you can do, and know you are in my thoughts and prayers. [Christ] is called Man... that by Himself He may sanctify humanity, and be as it were a leaven to the whole lump; and by uniting to Himself that which was condemned may release it from all condemnation, becoming for all men all things that we are, except sin; --body, soul, mind and all through which death reaches--and thus He became Man, who is the combination of all these; God in visible form, because He retained that which is perceived by mind alone. He is Son of Man, both on account of Adam, and of the Virgin from Whom He came; from the one as a forefather, from the other as His Mother, both in accordance with the law of generation, and apart from it. He is Christ, because of His Godhead. For this is the Anointing of His Manhood, and does not, as is the case with all other Anointed Ones, sanctify by its action, but by the Presence in His Fulness of the Anointing One; the effect of which is that That which anoints is called Man, and makes that which is anointed God. He is The Way, because He leads us through Himself. 1) Christ is truly human, and the meaning of the Incarnation is that the second person of the Trinity truly did assume human flesh, and not the appearance thereof. We see this especially in the geneology of Matthew heard on Monday (Matthew 1:1-17), which seeks to confirm the veracity of Christ's humanity. 2) That Christ is truly God-- we hear in today's readings the proclamations of the angel Gabriel announcing the conceptions of Samson and John, who are called "consecrated to God", and how this is distinct from Gabriel's annunciation of the conception of Jesus (in tomorrow's reading), who is called "Son of the Most High". We know that Jesus is no mere judge or prophet. Gregory Nazienzen's words, quoted above, remind us of how important it is to ponder the Incarnation, the means by which God descended to make Godself The Way for us, and in so doing sanctified all of humanity. Christmas grows closer and closer as we near the end of the last full week of Advent. 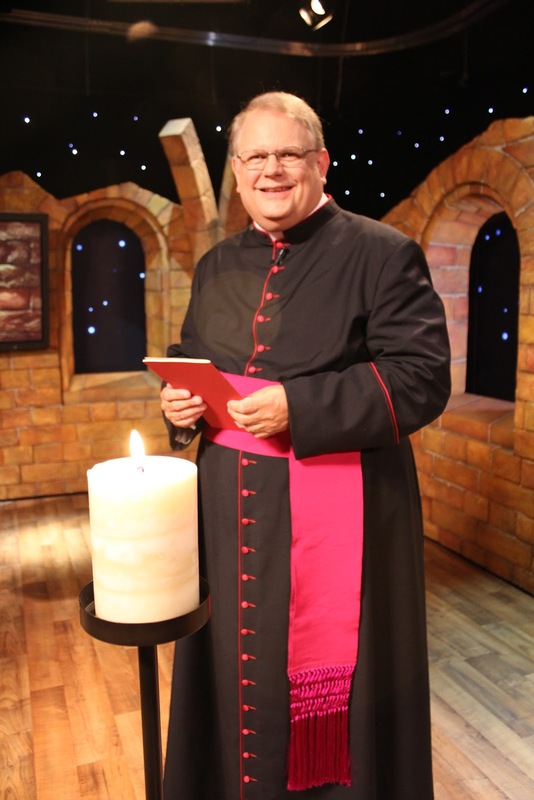 Join us at 8:30pm EST for the 3rd installment of Wait and See, a special Advent journey with Father Richard Erickson. A few years ago I was enjoying a day off, and no matter where I went my four year old son Ethan was one step behind me. If I sat down, he would sit on my lap. If I went outside he was by my side. I went to brush my teeth and he stood next to me holding his toothbrush. I was tired and just wanted a little down time but Ethan was everywhere! During this time his mom, Shirley, gave him a candy snack. I thought that maybe this would distract him and I would be able to sit alone and watch the news. I was wrong! He took the package, poured it in his hand and with a big smile said “here dad.” I looked down at him and didn’t say a word. I took the candy and he said, "that's what best buds do. They share.” It made me realize that Ethan’s need to be around someone he loved was more important than my need for free time. Ultimately in life we are all seeking to be loved and sometimes we don’t see it right in front of us. As Catholics we are blessed with a God who loves us. He is always by our side and only waits for us to welcome Him into our lives. There are times in our lives when we want to be left alone and yet by doing this we can miss a great gift. Ethan was not going to give up following me and I am grateful for his persistence because he taught me a valuable lesson. When love is involved nothing else is as important. Don’t miss the opportunity to receive God’s love because you're too busy. I know he will never give up on you. The Knights of Columbus will hold its 130th annual Supreme Convention in Anaheim, CA from August 7-9, 2012. The CatholicTV Network will provide live coverage of the event on Tuesday, August 7, 2012. CatholicTV will broadcast the Opening Mass (12:30 PM ET), Opening Session (4 PM ET) and States Dinner (10:30 PM ET) live from the Knights of Columbus Supreme Convention site in Anaheim, CA. Visit CatholicTV.com/Knights-of-Columbus, where videos of this year’s events will be added to the archive of past Supreme Conventions and where celebrations of feast days and other special events and documentaries can be found. President of the CatholicTV Network, Father Robert Reed, and host Kevin Nelson will offer live event commentary on Tuesday. Tune in to CatholicTV and join the Knights and their families for this annual international gathering of fraternity and faith on Tuesday, August 7, 2012. Bishop Richard Malone will be installed as the 14th bishop to head the Diocese of Buffalo on Friday, August 10. The CatholicTV Network will broadcast the Mass live at 2:30 PM ET from Saint Joseph's Cathedral. Bishop Richard Joseph Malone is the 11th Bishop of Portland, Maine and will remain the administrator of the Diocese of Portland until a new diocesan bishop is named by the Holy Father. He was installed as Bishop of Portland in 2004 after serving as auxiliary bishop in the Archdiocese of Boston, South Region, following his Episcopal ordination in 2000. 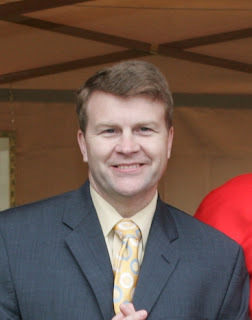 Bishop Malone was born in Salem, MA, and graduated from St. John’s Preparatory School, Danvers. He studied at Cardinal O’Connell Seminary in Jamaica Plain and graduated from St. John Seminary, Boston, with a bachelor’s in Philosophy, a bachelor’s in Divinity and a master’s in Theology. Bishop Malone subsequently earned a Doctorate in Theology (Th.D.) at Boston University and a Licentiate in Sacred Theology (S.T.L.) at Weston Jesuit School of Theology. Bishop Malone was ordained a priest in 1972 and was assigned to St. Patrick parish, Stoneham, as Associate Pastor. He served on the faculty of St. Clement High School, Somerville, MA; Xaverian High School, Westwood, MA; and his alma mater St. John Seminary. Concurrent with his time at St. John Seminary, he was part-time chaplain at Wellesley and Regis Colleges and taught at Emmanuel College in Boston. Later he was assigned as Chaplain to the Harvard-Radcliffe Catholic Student Center. In 1993, he accepted the position of Director of the Office of Religious Education for the Archdiocese of Boston and subsequently was named Secretary for Education. Bishop Malone currently chairs the Evangelization and Catechesis Committee of the United States Conference of Catholic Bishops. He serves on other USCCB committees as well as sitting on the Boards of two Seminaries. Bishop Malone was elected to the Board of Catholic Relief Services in 2010 and serves on the U.S. Operations Committee. The Diocese of Buffalo is made up of 170 parishes and 1 mission, utilizing 197 worship sites. They have 54 Catholic elementary schools, 15 Catholic high schools, and 7 Catholic colleges and universities. The diocese is also home to a major seminary, Christ the King Seminary, in East Aurora and five Catholic hospitals. The CatholicTV® Network is set to Join Conan O’Brien, Edward Burns, Piers Morgan, Chris Matthews, John King and Many More at the U.S. Cable Industry’s Premier Event! 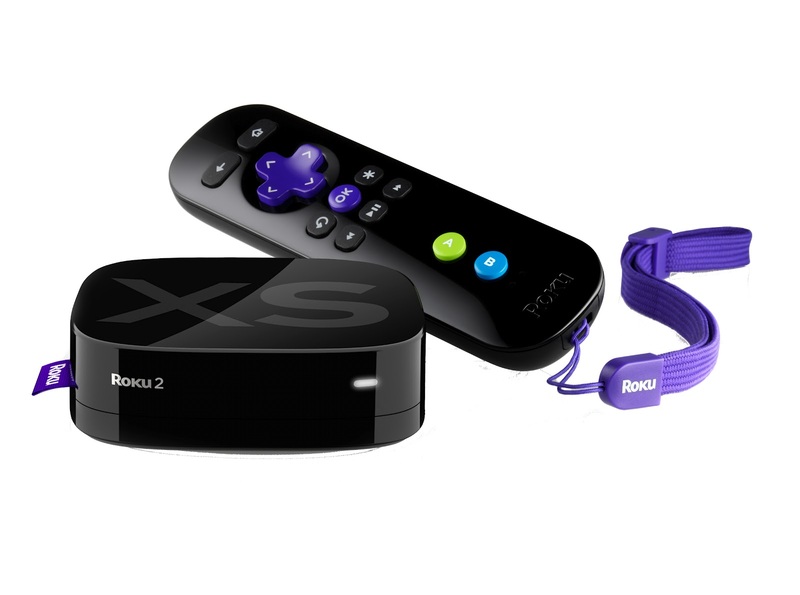 From May 21-23, the CatholicTV Network is set to exhibit at the 2012 Cable Show hosted by the National Cable & Telecommunications Association held at the Boston Convention & Exhibition Center. 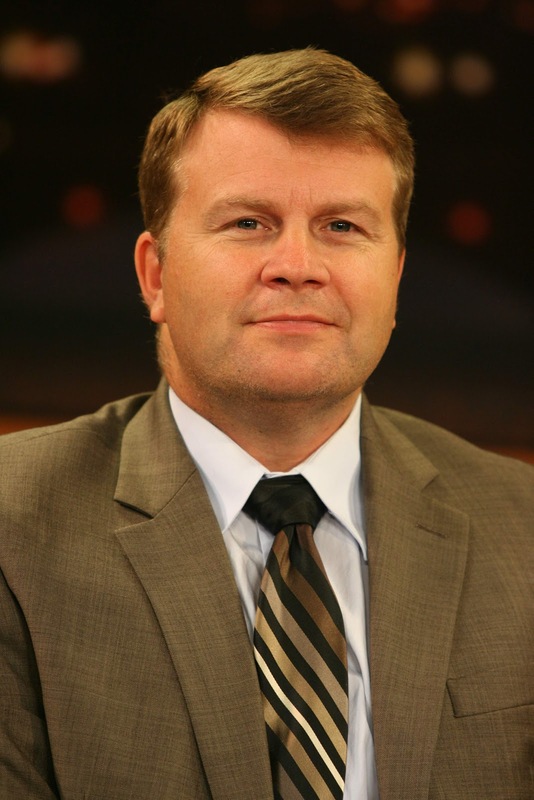 The National Cable & Telecommunications Association, formerly the National Cable Television Association, is the principal trade association of the cable television industry in the United States. Founded in 1952, NCTA's primary mission is to provide its members with a strong national presence by providing a single, unified voice on issues affecting the cable and telecommunications industry. Now in its 61st year, The Cable Show 2012 takes place in Boston, a city at the forefront of technology innovation and academic leadership. The Cable Show 2012 continues a tradition of presenting the key themes, emerging technologies, successful business models and instrumental players who will influence the next era of innovation in an industry that continues to rewrite the rules of media and communications. The Cable Show expects nearly 13,000 attendees this year in Boston and will offer an immersive, one-stop experience in everything cable: the people, platforms, programming and possibilities of an industry that' setting the global pace in multi-screen video, interactive advertising, breakthrough content and compelling combinations of mobility, interactivity and social media. The Cable Show will provide captivating panel discussions, exclusive networking events and a comprehensive exhibit floor filled with technology, content and service applications. On Friday, May 11, 2012, author Karen Edmisten will be featured on the CatholicTV Network’s nationally broadcasted live talk show; This is the Day, to discuss her book, After Miscarriage: A Catholic Woman's Companion to Healing and Hope. After Miscarriage: A Catholic Woman's Companion to Healing and Hope is a book about grief, healing, and hope after miscarriage. Not afraid to examine the raw emotions that accompany such an experience, the author tells women that they are not alone in reacting strongly, even frighteningly, to their loss and reassures them that hope and healing will come. Having experienced multiple miscarriages herself, Karen shares excerpts from her personal journals, as well as other women's stories, rich quotes about grieving and the healing process, and practical advice. A helpful resource section includes a wide variety of information from both Catholic and secular sources. For every soul who has felt the loss of life through miscarriage or the absence of hope that accompanies infertility, After Miscarriage by Karen Edmisten offers a wellspring of grace. Filled with both the voices of those who have experienced this sacrificial love and helpful resources full of practical insights, Karen's book will be a gift of compassion and healing for many. Karen is also the author of The Rosary: Keeping Company with Jesus and Mary, and Through the Year with Mary: 356 Reflections, both published by Servant Books. A popular blogger and a regular guest on Relevant Radio, she is also a contributor to Atheist to Catholic: Stories of Conversion. Usually it is Christ who does the seeking. He seeks out lost sheep. The ones caught in the brambles. The ones entirely separated from the flock. I used to know a family who raised sheep, and their kids, in high school at the time, were part-time shepherds. They would sit out in the field, sometimes late into the night, watching their sheep. And while they never saw a vision of angels announcing good news to them, they did have some rather interesting insights into the profession of shepherding. A sheep, they once told me, needs to be rescued when it gets lost, because when the sheep becomes frightened its joints lock up and it becomes literally petrified with fear. That’s why the good shepherd needs to pick the sheep up and place him on his shoulders, and carry him home. Because the lost sheep is petrified with fear. The lost sheep becomes petrified. There are a lot of sheep who stand petrified by their own sin out there, and even in here on this Friday we call good. Sheep who look desperately from side to side and all around and suddenly realize that they have wandered so far from the flock that no GPS could ever get them home, no God, they’re convinced, could ever forgive them! No sacrifice, they’re certain, could ever save them. No words, they’re determined, could ever do them any good. Which is why it is usually Christ, "with unhurrying chase, and unperturbed pace..." who does the seeking. And the one thing he seeks most fervently, even more than he seeks the lost sheep, is the lost soul of the lost sheep. With a certain divine desperation, Christ seeks out the soul of the lost sinner, that he might repent and live. The great print artist Fritz Eichenburg, who with Ade Bethune brought so much to the Catholic Worker movement in its earliest days, once crafted a brilliant print of a be-haloed figure rummaging through a trash bin by the side of the road. When Dorothy Day first saw it she was convinced of its meaning. Surely, this is Jesus, she declared enthusiastically, the hungry beggar among us, looking for something to eat amidst all the old fish-wrap we’ve thrown away. No, Eichenburg told her. It is not Jesus in the poor man rummaging for food. No, we are the trash can in which Jesus is rummaging. He is rummaging through all the trash of our poor, sinful, selfish lives, looking for something worth while, something of value, something to save. For there is nothing God desires more than our holiness, our capacity to reflect his love in our lives. It is why he made us in his own image and likeness and why he was incarnate of the Blessed Virgin Mary. Christ seeks our salvation with a real desperation. He seeks it preaching on the hills of Galilee. He seeks it falling on bloodied knees as he walks the the via dolorosa. He seeks it as he offers the perfect sacrifice on the altar of the cross. So desperately does he desire to save us that he offers his very life in ransom for us. This just Abel does more than offer the fruit of his labor; he offers the blood in his veins. This modern day Melchizedek, offers more than bread and wine; He offers his body and blood. This God does not send an angel to spare his only-begotten Son, but gives him up to be offered for us on Calvary hill. This innocent lamb is the priest and the victim, the giver and the gift, offers the perfect sacrifice of love unto death, death on a cross. Which leads us to the five first words of Christ in John’s account of his Blessed Passion. He says the same to us this Friday afternoon. Who are you looking for? And each one of us can answer him. A young teenager might say, I’m looking for someone to inspire me. someone to make sense of my life…to lead me, advise me, and guide me to be happy and successful and content. The old man is looking for someone to take away the pain of his body and the loneliness of his soul. Someone who can remove the fear that gnaws at him every time he loses one more thing, every time he thinks of getting sicker and dying. Another one is looking for someone to take away the guilt which he’s carried on his back like a bag of bricks for so many years. It was stupid and wrong and sinful, and he’s never been able to forgive himself…he needs someone to lift those sins off his shoulders. And then there’s the young mother who is looking for someone to watch over her kids or maybe lighten her load, as she works three jobs, one for each kid. She’s looking for someone who will help her to sleep all night without waking up worrying about the next day’s burdens. And then there’s that guy who is looking for someone to answer all those questions he has about life…and to show him how to solve the problems of the world…to feed the poor, and heal the sick, and end the violence which he knows makes no sense. And each one of us…. Look deep in your heart, my fiends, and hear Jesus’ voice asking you today: Who are you looking for? Whomever you seek…whatever the pain of your heart that cries out to heaven…the one who has been seeking you down every alley and detour hangs from the cross for you today. He hangs there dying, to teach us how to live. 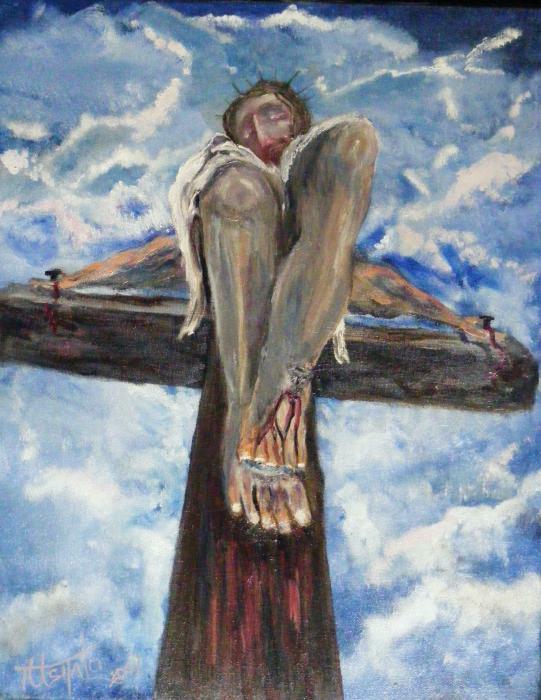 He hangs there rejected, to teach us how to love. The nails, filed sharp by our sins, piece the wrists of his body. But we are forgiven by him, for we know not what we do. The crown of thorns, pierces his flesh, but the blood that drips down cleanses all it touches from darkness and sin. From his side, pierced by the lance of our selfishness, blood and water flow out, not as a harbinger of death, but as the beginning of newness of life. For those who are baptized in that water will never die. And those who drink of that blood will live forever. By his blessed passion upon that cross, by his suffering, we are healed of every brokenness, freed of every sin, and the bonds of death are, once and for all, broken. Who are you looking for? You are looking for the Shepherd who has been looking for you, the Christ, the Son of the Living God: Who by his holy cross, has redeemed the world. On March 24, 2012, the CatholicTV Network is set to exhibit and participate at the upcoming Archdiocesan Catechetical Congress taking place at Boston College High School, Dorchester, MA. The Congress will begin the day with Mass presided by Cardinal Seán P. O'Malley, OFM with music by the Archdiocesan Black Catholic Choir. Over 24 workshops in English, Portuguese and Spanish will be offered throughout the day. The keynote speaker at the Archdiocesan Catechetical Congress will be Bishop Richard Malone. Bishop Richard Malone, a native son of Salem, Massachusetts, is the 11th Bishop of Portland, Maine. A graduate of Saint John's Prep, Danvers and Saint John's Seminary, Boston, Bishop Malone was ordained in 1972 by Cardinal Humberto Medeiros. In 1981 then Father Malone earned his Doctorate in Theology from Boston University and in 1990 his Licentiate in Sacred Theology from Weston Jesuit School of Theology in Cambridge. Bishop Malone was Professor of Theology at Saint John's Seminary and chaplain at Harvard University. He was named Director of the Office of Religious Education in 1993 and later appointed Cabinet Secretary for Education for the Archdiocese of Boston. In March, 2000 he was ordained Bishop and appointed Auxiliary Bishop, Archdiocese of Boston, South Region. Bishop Malone was installed as Bishop of Portland, Maine on March 31, 2004. He is a member and immediate past Chair of the Bishops Committee on Evangelization and Catechesis for the United states Conference of Catholic Bishops. Workshop sessions include “The Mass is Boring? No Way! We've Got to Talk!” presented by CatholicTV’s own Fr. Dan O’Connell, Saint Joseph Parish, West End. This workshop will focus on ways religious educators can teach children to appreciate and love the Mass; making it come alive. To learn more about the Archdiocesan Catechetical Congress visit: www.rc.net/boston/religiouseducation. I'm looking forward to getting on a plane and heading out to Peoria, Illinois tomorrow for Behold, A Catholic Conference On The Dignity and Vocation of Women. I'm especially excited to celebrate the vocation of women in the wake of International Women's Day (today), during Women's History Month (March) and with Pope Benedict's March prayer intention in mind. I'll be representing CatholicTV as a vendor, but I'll also be popping in and out of the great talks at the Conference, so keep an eye on the @CatholicTV twitter feed for live updates, and look for some blogging about the conference as well! On Saturday, February 25, 2012, the CatholicTV® Network will air two special ceremonies at St. Patrick's Cathedral, New York, NY, to honor Timothy Cardinal Dolan. The prayer service will air LIVE at 10:30 a.m., and at 4 p.m., Cardinal Dolan will celebrate Mass which will also air LIVE on CatholicTV. Cardinal Dolan was ordained to the priesthood on June 19, 1976. He then served as associate pastor at Immacolata Parish in Richmond Heights, Mo., until 1979 when he began studies for a doctorate in American Church History at the Catholic University of America. Before completing the doctorate, he spent a year researching the late Archbishop Edwin O'Hara, a founder of the Catholic Biblical Association. Archbishop O'Hara's life and ministry was the subject of the Archbishop's doctoral dissertation. 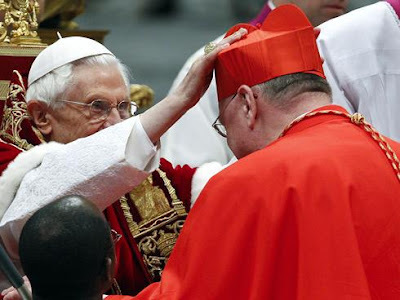 On June 29, 2009, Cardinal Dolan received the pallium, a symbol of his office as an archbishop, from His Holiness, Pope Benedict XVI, at St. Peter's Basilica. 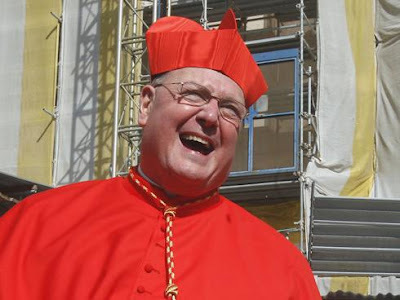 On November 16, 2010, Cardinal Dolan was elected president of the United States Conference of Catholic Bishops. He succeeds Cardinal Francis George of Chicago. Tune in to CatholicTV on February 25, 2012, or on www.CatholicTV.com. During the season of Lent, the CatholicTV® Network will offer Lenten programming focusing on this solemn time of year. Enjoy original CatholicTV programming and specials from around the universal Church, concluding with Holy Week broadcasts from Notre Dame, Boston and Vatican City. Tune in for various special programming commemorating the death, burial and resurrection Jesus Christ. Lenten programming will include special programming and broadcasts. Each day after the Chaplet of Divine Mercy at 3 PM and after the Daily Mass rebroadcasts on CatholicTV, President of the CatholicTV Network, Father Robert Reed, will offer a Lenten reflection based on the book "A Lenten Journey with Jesus Christ and Saint Therese of Lisieux". During Lent, the original CatholicTV "series", Blink, takes on a Lenten theme. Blink features Catholics from around the universal church sharing their belief and their wisdom. See a Lenten Blink segment with video from Catholic Relief Services for Operation Rice Bowl and reflections from Father Reed, Father Warren Savage and seminarians on Father Romanus Cessario’s “The Seven Last Words of Jesus.” Tune in for a new Blink on Wednesday at 7:30 PM each week during Lent. The Seven Last Words of Christ, a series of reflections offered by the Gregorian Concert Choir from the Cathedral of Saints Peter and Paul in Providence, R.I., under the direction of Father Anthony Mancini will also air during the season of Lent. Join priests, religious and members of the laity for the special Lenten series, ARISE. For six weeks, each half-hour show will feature readings and reflections on Lenten themes. Journey with our blessed Lord on his way to Calvary in this classic Catholic mediation on the Passion of Christ. During Lent, three different versions of the stations of the cross air with hosts Father Reed, Msgr. John Zenz and Father Frank McFarland. Msgr. Zenz, from the Archdiocese of Detroit, presents a mini-series examining the Sunday Gospel reading based on the Gospel of Mark. Actors play out the reading, followed by a theological reflection. Catch A Path to Glory on CatholicTV. Tune into CatholicTV during Lenten season to see the great programming CatholicTV has in store. If you miss any of the CatholicTV Network’s Lenten programming you can also visit www.CatholicTV.com/Lent. "The most dangerous place for a baby is in the mother's womb." When I heard Cardinal Seán say this during his homily at the Shrine of the Sacred Heart in Washington, D.C. before going out to join the crowd for this year's March for Life, I stopped taking notes. Nothing else hit me as hard as those words and it finally clicked why all these people had come to the nation's capital. To think that the womb, where babies are at their most vulnerable, where they develop and are nourished by their mothers for the first nine months they are on this planet, is the only place where they are not legally protected is not only not right; it's cruel. As a young woman who has never been particularly maternal, I've always been told that once I eventually become pregnant, that motherly instinct kicks in. But what could be less motherly than to kill your own child? That is what I thought of as I walked with over 400,000 people holding banners and signs protesting abortion. That's what I thought of when I talked to a high school girl whose mother chose to keep her baby, despite being only 18 years old when she became pregnant. American playwright and author Eda J. Le Shan once said, "A new baby is like the beginning of all things--wonder, hope, a dream of possibilities." When we commit abortion, we aren't only killing a baby, which is bad enough. We're also killing hope and possibilities. CatholicTV will celebrate Catholic Schools Week the week of January 29th with local schools from the Archdiocese of Boston. Each day, a different area Catholic school will join us for our Daily Mass in the CatholicTV chapel. Catholic Schools Week, which celebrates its 40th anniversary next year, is a time for students to celebrate their unique path of learning within the parish, community and nation, organizers state. Festivities across the country will reflect that, most notably open houses for prospective students and public rallies at state capitols supporting school choice. The theme for Catholic Schools Week 2012 is “Catholic Schools: Faith. Academics. Service.” The annual observance starts the last Sunday in January and runs all week, which in 2012 is January 29th to February 5th. Schools typically celebrate Catholic Schools Week with Masses, open houses and activities for students, families, parishioners and the community at large. The theme focuses on the three priorities that Catholic schools establish that make them stand out from other educational institutions. Children are aided in the development of their faith: they are taught not just the basics of Christianity, but also how to have a relationship with God. Academics, which in Catholic schools are held to very high standards, help each child reach his or her potential. Service, the giving of one’s time and effort to help others, is taught both as an expression of faith and good citizenship. Boston College High School, Dorchester, MA; Arlington Catholic High School, Arlington, MA; Monsignor James J. Haddad Middle School, Needham, MA; St. Jude School, Waltham, MA; and Mount Alvernia Academy, Chestnut Hill, MA. For more information on Catholic Schools Week please visit the National Catholic Educational Association at: www.ncea.org. Today is the 39th anniversary of Roe V. Wade, the court case that unconstitutionally declared abortion a legal right. For Catholics, it is a Day of Prayer and a Day of Penance, and for all pro-lifers it is the date of the March for Life: an annual peaceful demonstration in our nation's capital. Attendees of the March for Life are many; the youth alone make up tens of thousands of the marchers. CatholicTV is among them, in spirit and in person. Our crew in D.C. is down there sending frequent updates, and we will be airing the Youth Rally and Mass for Life at 12pm and again at 8pm. If you don't get CatholicTV in your area, you can watch our live stream at http://CatholicTV.com, on your computer or mobile device. As Father Domurat, our celebrant at Mass this morning, said, "Today we join our prayers to those of Cardinal O'Malley" who is celebrating the Mass for Life as the chairman of the USCCB's Pro-Life office. Fr Domurat said, "We may be criticized and misunderstood for our pro-life position. Take courage. Know that God is with you, and never tire of doing what is right." Keep the marchers in your prayers today, along with the 50 million young lives that have been terminated since Roe v. Wade. And join us for our coverage of the March at noon today.